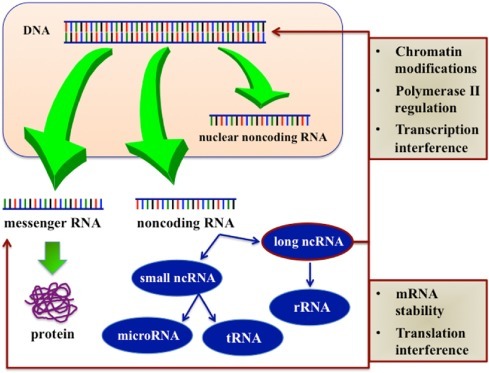 Long non-coding RNAs cover large part of the non-coding information of the human DNA, which represents more than 90% of the whole genome. 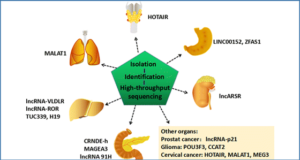 They constitute a wide and complex group of molecules with more than 200 nucleotides, which generally lack an open reading frame, and are involved in various ways in the pathophysiology of cancer. 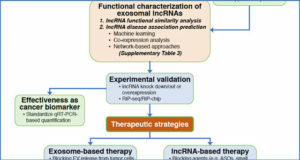 Their roles in the regulation of gene expression, imprinting, transcription, and post-translational processing have been described in several types of cancer. 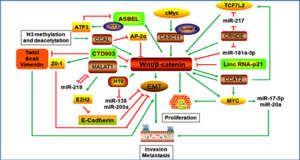 CASC2 was discovered in 2004 in patients with endometrial carcinoma as a potential tumor suppressor. 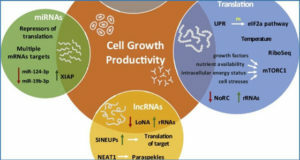 Since then, additional studies in other types of neoplasia have been carried out, and both mechanisms and interactions of CASC2 in cancer have been better elucidated. 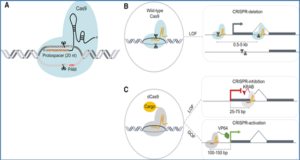 The available studies indicate that CASC2 acts as a tumor suppressor gene, through interactions with several networks, including miRNAs and other elements. 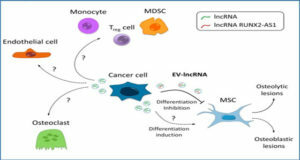 Further studies are necessary to better investigate the involvement of CASC2 in the development and progression of human cancer, in order to explore its utility as a tumor marker or a therapeutic target.